Oriflame knows how important it is to have a portfolio that meets the needs of all consumers. That’s why we welcome Catalogue 02 – the catalogue featuring the new NovAge Men face care line. 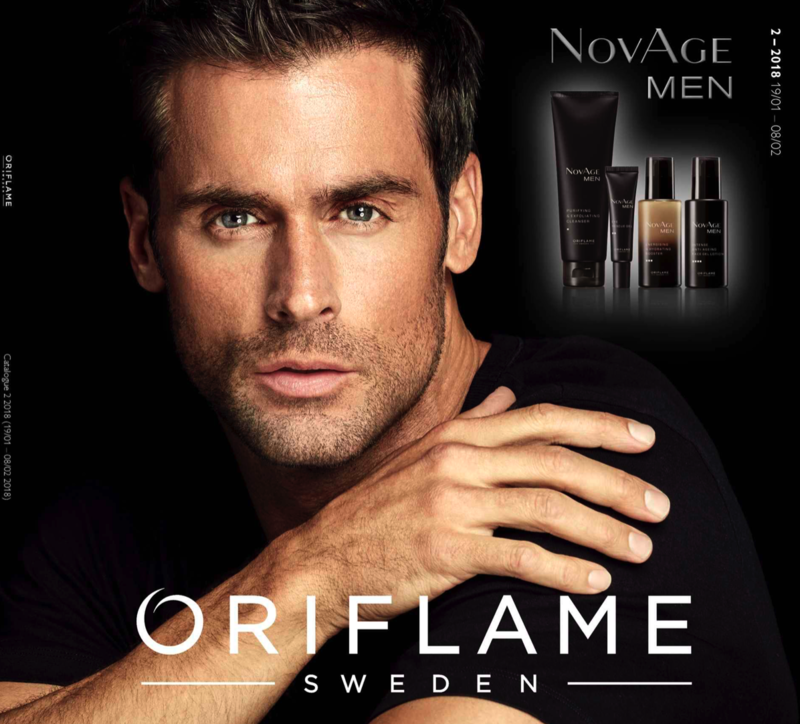 NovAge Men is a long-awaited line of Oriflame consumers. Men’s skin is different from women’s skin, so it makes perfect sense for them to have a line developed specifically for their needs. NovAge Men is a line that responds to all the skin needs of men: signs of fatigue, lack of energy and signs of aging! Together, these four products deliver clinically proven results: reduction of wrinkles, smoother, smoother and toned skin, and more elasticity! Have you noticed that the most romantic day of the year is just around the corner? The perfect suggestion for Valentine’s Day 2018 is undoubtedly the two new fragrances Possess the Secret for Him and for Her. Inspired by the most imposing Norse Gods, Thor and Idunn, these fragrances complement each other perfectly, so you can share a special complicity with your love. Enjoy the excellent promotion: any 2 for only £31.95! In this catalogue, there is no way you can not fall in love with the Dream deal . 14-15 – the new Macaron Love Soap and Hand Cream , with the irresistible aroma of macarons and, to complement, The ONE Manicure Case. Enjoy to buy this love set for only £ 5.95 for every £20 of purchases you make in this catalogue. We also have a second Dream deal especially for the man of your life – a set North for Men(Shower Gel and DEO + Shaving Foam) for only £5.95 for every £20 of purchases you make in this catalog. In Body Care we present a breakthrough in the Discover range – the New Zealand line (Shower Gel for It, Shower Gel and Soap) – inspired by New Zealand’s serene waterfalls, mountains and lakes. Feel the freshness and purity of this magnificent destination without leaving your bathroom. On the back cover of this catalogue you will find Milk & Honey Gold products that you love – Hands and Body Cream, Shower Cream and Soap – up to 65% off! Enjoy and buy more in this catalogue.